In this forum, one can share any new gurdwara details in their area, discuss if gurdwara's are doing enough to do parchar, share new parchar ideas, also send a message to commitee members of the gurdwara's and last but not least share if any gurdwara's near your area, is misusing sangat's donation money. 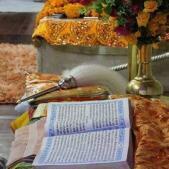 ~Japji sahib vichar sagar~ Must Must Must Must Read !!!!!!! Misuse of the Term "Brahmanvaad"